This extensive vacation stretches through Central Europe from London to Rome, then along the Mediterranean to Spain and France to reach Paris. Begin with two overnights in London, and ferry across the English Channel. 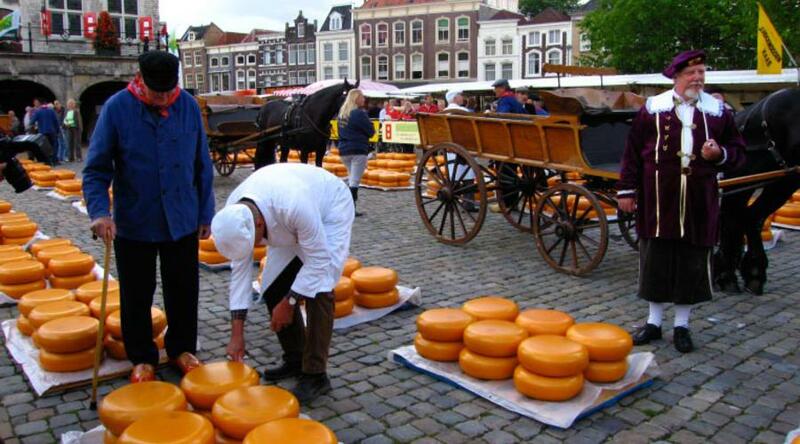 Join your motorcoach to Amsterdam for guided sightseeing and a canal cruise. 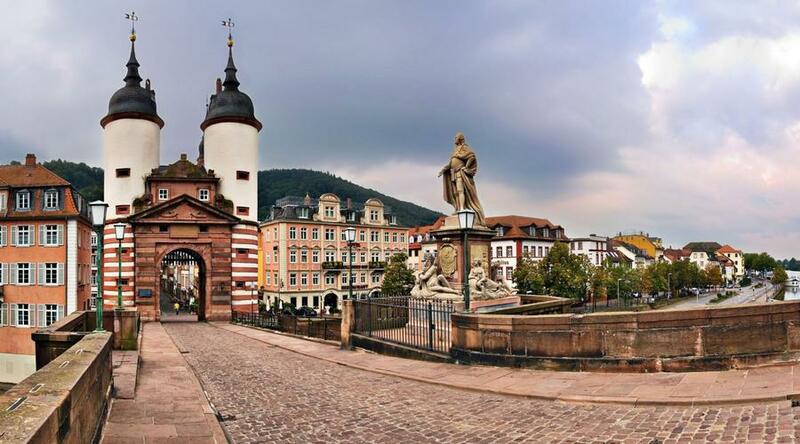 Follow the banks of the Rhine with its many castles and visit romantic Heidelberg. Then, travel on to Switzerland for two overnights by the shores of Lake Lucerne surrounded by impressive alpine landscapes. Stop in subtropical Lugano and continue south into Italy, visiting Verona en route to the unique floating city of Venice with its St. Mark’s Square and Basilica. More Italian masterpieces await in Assisi, St. Francis’ home; Rome with its Roman Forum and Colosseum; and Florence, “Cradle of the Renaissance,” with its incredible architecture and works of art. On to the mild climate of the French Riviera. Experience an optional evening in Monte Carlo, visit Avignon, and overnight in Carcassonne, a wonderful example of a medieval fortified city. In Spain, spend two nights each in Barcelona and Madrid with included guided sightseeing tours. Travel north into Castile, stopping in El Cid’s Burgos, then to Basque Country for an overnight in Bilbao before exploring the jewels of France: Bordeaux, Poitiers, Châteaux Country, Orleans, and Paris, the splendid “City of Light. Check into your hotel. In the afternoon, you may want to start exploring the lively British capital. Uniformed hosts are available to help you make the most of your stay. LONDON Novotel London West (F). A full day to savor our rich program of optional activities: take a panoramic tour of London’s landmarks, visit the Tower of London, or choose an excursion to Windsor Castle. Tonight maybe a leisurely cruise on the Thames River? (B) LONDON Novotel London West (F). Leave London in the early morning and head through the lush English countryside to the Channel port, where you embark on your FERRY for the Continent. Meet your Tour Director and board your luxury coach for the drive to the Amsterdam area. (B) LONDON Novotel London West (F). Day 4 Amsterdam Area–Rhineland, Germany. Today, enjoy a CANAL CRUISE to see the town from water level, then watch the cutting and polishing of precious stones at a DIAMOND CENTER in Amsterdam. Later, sightseeing with a Local Guide points out the city highlights. In the afternoon, travel southward to the Rhineland area for an overnight. (B,D) AMSTERDAM AREA Crowne Plaza (F) at Hoofdoorp or Holiday Inn Express Arena Towers (ST) or Holiday Inn Express Schiphol (ST). Day 5 Rhineland–Heidelberg–Lucerne Area, Switzerland. Drive through the scenic Rhineland this morning or, alternatively, take the optional Rhine River cruise and enjoy splendid scenery including the Lorelei rock. Next, drive into Germany’s oldest university town, Heidelberg, nicely located at the confluence of the Neckar and Rhine Rivers, for a short visit. In the afternoon, travel by way of the Autobahn into Switzerland for two overnights in the Lucerne area. (B) RHINELAND Ramada (F) at Bruehl or Leonardo Hotel Am Stadtwald (F) at Cologne or Mercure Köln Airport (ST). 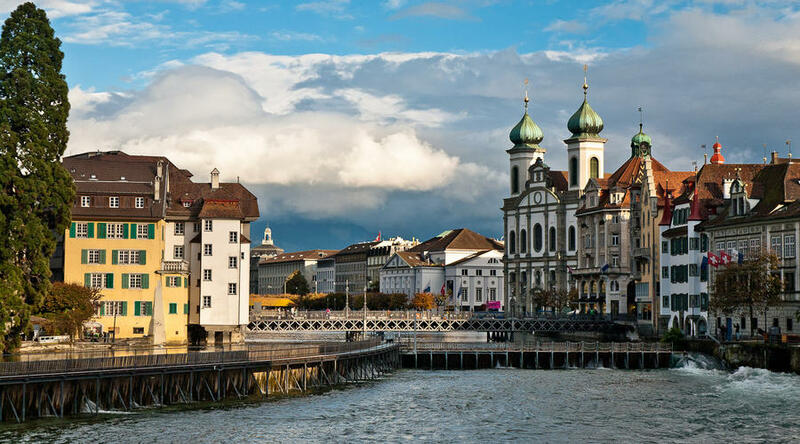 One of Switzerland’s finest cities, Lucerne is nestled amid its snowcapped Alps, surrounded by its lake, and embellished by the clear mountain waters of the Reuss River. Your visit takes in the impressive city walls, CHAPEL BRIDGE, ornate patrician houses lining cobblestone streets, and the LION MONUMENT—a masterful stone sculpture in honor of the heroic Swiss Guard of Louis XVI. A grand selection of optional activities completes the day: a cruise on the fjord-like lake or a cable-car ride to the 10,000-foot summit of Mount Titlis. (B) LUCERNE AREA Luzernerhof (ST) or Ibis Kriens (ST). Day 7 Lucerne Area–Lugano–Verona, Italy–Venice Area. More wonderful Alpine scenery as you drive into the mountain ranges that surround the massive St. Gotthard. Once through its great tunnel, you’ll start your scenic descent into the warmer and sunnier ambiance of Canton Ticino. Stop in beautiful Lugano and take a stroll along the lakeside promenade. Then, cross into Italy and drive across the Po Valley to Verona, medieval setting of Shakespeare’s Romeo and Juliet. 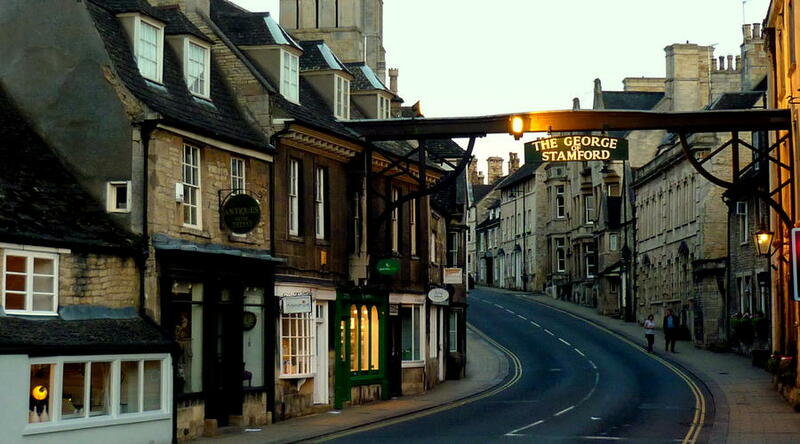 See Juliet’s house and balcony, and stroll around the picturesque market square. Tonight you are in the Venice area. (B) LUCERNE AREA Luzernerhof (ST) or Ibis Kriens (ST). Venice is more like a marvelous film set than a real live city, with its criss-crossing canals, gondolas and water buses, arched bridges, and palaces. The included orientation starts with a BOAT RIDE and is followed by some time at leisure and a chance to watch Venetian GLASSBLOWERS fashion their delicate objects as they did centuries ago. Don’t miss out on the optional gondola trip, gliding along the picturesque canals with a local troubadour to serenade you. (B,D) VENICE AREA Holiday Inn (ST) at Marghera or Poppi (ST) at Mira. An interesting drive southward, cutting across the Po Delta, and through the gentle Umbrian hills to Assisi, where St. Francis was born in 1182. Visit the world-famous BASILICA with its beautiful frescoes by Giotto, then head for Rome. (B) VENICE AREA Holiday Inn (ST) at Marghera or Poppi (ST) at Mira. The “Eternal City”—a city steeped in history, vibrantly alive and exciting, and absolutely unique! Included sightseeing with a Local Guide starts in ST. PETER'S SQUARE, followed by a visit to the ROMAN FORUM and the mighty COLOSSEUM. (B) ROME Villa Maria Regina (F) or Pineta Palace (ST) or Residenza Parco Tirreno (ST). Vistas of undulating hills, rows of cypress trees, terraced vineyards, olive groves, and rural villages form the backdrop of your journey through beautiful Tuscany. Take a break in Pisa to see the SQUARE OF MIRACLES and the amazing Leaning Tower, then on to Florence. (B) ROME Villa Maria Regina (F) or Pineta Palace (ST) or Residenza Parco Tirreno (ST). This Renaissance gem and city of the Medicis will keep you enthralled for a whole day. Traffic is banned in part of the historic center, so visitors can wander at leisure and admire the city’s timeless beauty in relative peace and quiet. Don’t miss out on the included walking tour with a Local Guide that features most of the city highlights. You will see Piazza Santa Croce; beautiful Piazza Signoria; Palazzo Vecchio; Loggia dei Lanzi; and, to top it all, Piazza del Duomo and its cathedral with the Giotto Campanile, and the magnificent East Door of the Baptistry, known as the “Gate of Paradise.” Tonight, enjoy dinner at a local restaurant. (B,D) FLORENCE Italiana Hotels Florence (ST) or Meridiana (ST). Day 13 Florence–Italian Riviera–Èze, France–French Riviera. An early start this morning for the journey northwest with views of the Italian Riviera. Continue to France for a visit to a PERFUME WORKSHOP in Èze before traveling along the celebrated Côte d’Azur. An optional Monte Carlo by Night excursion with dinner is available. (B) FLORENCE Italiana Hotels Florence (ST) or Meridiana (ST). Today’s journey will take you through some of France’s loveliest scenery, sun-drenched landscapes right out of Van Gogh’s paintings, on the way through Provence. Stop for a visit in historic Avignon. 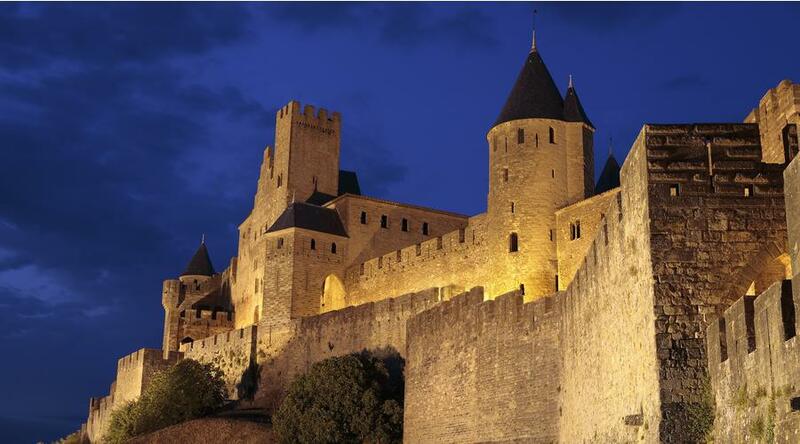 Continue westwards to the impressive walled city of Carcassonne for an overnight. (B,D) FRENCH RIVIERA Ibis Styles Airport (ST) at Nice or Ibis (ST) at Mouans Sartoux. Enjoy a visit of this almost-untouched piece of medieval fortified architecture, still standing in all its walled glory with drawbridges, towers, battlements, watch turrets, ramparts, and even arrow-slits to repel the enemy. Later, drive by way of Perpignan across the border into Spain, to arrive in Barcelona for two overnights. (B) CARCASSONNE Des 3 Couronnes (ST). This morning’s sightseeing with a Local Guide includes a drive around Montjuïc to see the Olympic Stadium and a panoramic view of the port and city. The drive continues to the city center to Plaza Catalunya and Paseo de Gracia to admire the greatness and eccentricity of Gaudi’s architectural masterpieces in the Houses Batlló and Mila and the Sagrada Familia (entrance fee not included). (B) BARCELONA Catalonia Sagrada Familia (ST). See more of Catalonia as you drive northwest via Saragossa through the very heart of new Castille for two overnights in Spain’s capital, Madrid. (B) BARCELONA Catalonia Sagrada Familia (ST). Not only because it’s the capital of Spain, but also because it is situated 2,180 feet above sea level, the Spaniards say Madrid is the nearest thing to heaven. Enjoy the main highlights on the included sightseeing excursion. The optional trip to Toledo is most rewarding, too. 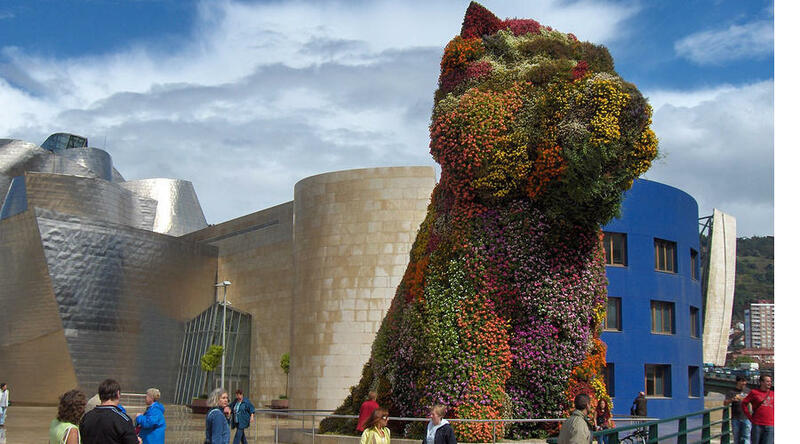 The splendid setting is like a great open-air museum of Spanish history and art. (B,D) MADRID Abba Madrid (F) or Rafaelhoteles Ventas (ST) or NH Abascal (F). Climb Somosierra Pass, the boundary between Old and New Castille, before stopping in Burgos to visit the beautiful cathedral. On through Basque Country to Bilbao, now famous for four contemporary architects: Norman Foster, Santiago Calatrava, Cesar Pelli, and Frank Gehry. (B,D) MADRID Abba Madrid (F) or Rafaelhoteles Ventas (ST) or NH Abascal (F). A change of scenery as you travel into France across Gascony for an orientation of Bordeaux, the wine capital of France. Travel farther north by way of the Cognac area to Poitiers, of Black Prince fame. (B,D) BILBAO Novotel Exhibition Center (F). The autoroute L’Aquitaine will take you directly to Tours and along the Loire, passing the castles of Amboise and Chaumont. 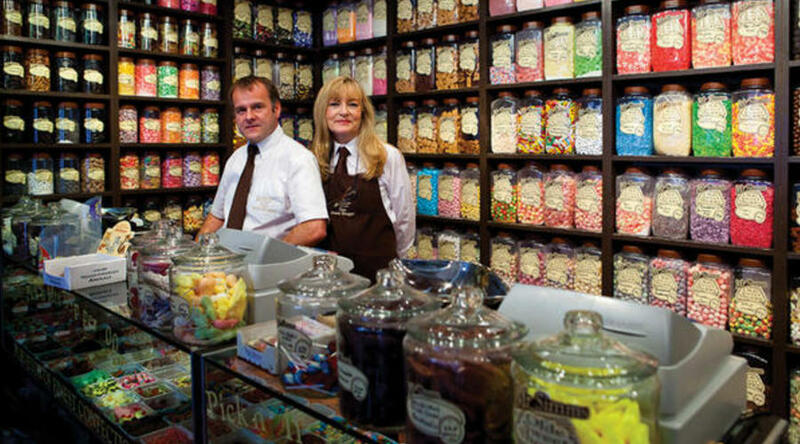 Stop in Orleans before reaching Paris in time to enjoy an optional excursion. (B) POITIERS Ibis Centre (ST). One full day to explore the city that’s known throughout the world for its fashions, art and museums, delicious food, and joie de vivre. Included sightseeing with a local expert shows off many of the best-known Parisian sights: La Sorbonne, Arc de Triomphe, Opéra, Madeleine, the Eiffel Tower, the Pyramid near the Louvre, the Invalides, and Champs Elysées. Optional excursions are also available to the Palace and Gardens of Versailles. (B) PARIS Kyriad Cachan Arcueil (ST) or Courtyard Arcueil (F). Your vacation ends with breakfast this morning. (B) PARIS Kyriad Cachan Arcueil (ST) or Courtyard Arcueil (F).